Elsewhere Studios is an artist residency program in Paonia CO, hosting artists from around the world to have time and space to focus on their work in a unique and supportive environment. Elsewhere is a choose-your-own-adventure style residency, providing residents with the opportunity to connect with the community... or just time to focus on work. Time spans are individually based - 1 to 6 months, accommodating 4 to 6 artists at a time. Since its inception in 2011, the Elsewhere Studios Residency Program has hosted over 189 artists from 28 states and 14 countries (Argentina, Iran, Columbia, Mexico, Canada, England, Japan, Switzerland, Bangladesh, India, Ireland, Netherlands, and Finland). 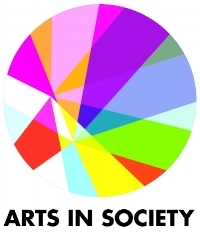 The program is open to visual artists, writers, composers, and performing artists at any stage or their career as well as scientists, activists, teachers, students, or any kind of creative thinker interested in exploring and expanding their work. Artists are supported in the creation of new work and new ideas through dedicated time, a space conducive to focused work, and an environment that is both stimulating and nurturing. The artists are selected through a competitive application process. The residency program includes housing, studio space, and utilities. The staff is dedicated to making this a positive experience and to finding resources and networking with the local community and resources as needed. The multidisciplinary resident artists interact, share, and often collaborate with each other. The artists also share their work and processes with the community through bimonthly events - "Meet-n-Greets", artist talks, open studios, exhibitions, readings, performances, and presentations. In addition, they often give demonstrations and teach classes or workshops open to local community members. They frequently do interactive projects with community members. The artists living in our community are exposed to new and exciting work and find inspiration from engaging with these visiting artists. KVNF, our local community radio station, airs interviews with the visiting artists—reaching a potential audience of 10,000 regional listeners. Articles in local and regional papers, as well as coverage on eZines and arts residency websites also have a regional and national reach. Elsewhere residents expose our small community to contemporary art from around the world and serve as ambassadors between Paonia and their communities. Many develop lasting relationships with members of the community, returning to share the progress of their work years after their Elsewhere residency. "Elsewhere is a hub of activity, a gathering place for the art, music, and magic of Paonia, and it quickly works its way into your soul, leaving anyone who's spent time here with the sense they've come to the right place."